I have another of my House-Mouse images to share with you. I think this one would work just as well on a birthday card, but this time I went with a Christmas card design. I coloured the image with my polychromos pencils, I find them really therapeutic to work with and they take up far less space on my desk then my Promarker pens. However, I have never mastered the knack of getting a really dark colour. The backing papers are from a paper stack called 'Me to You' and the snowflake die is by Cheery Lynn. The poinsettia flowers are from Wild Orchid Crafts and everything else is from my stash. I shall be back tomorrow with this last of my cards from this Christmas. Thank you, this was my favourite of the new stamps and it always makes me smile. I shall have to try it as a birthday card next. 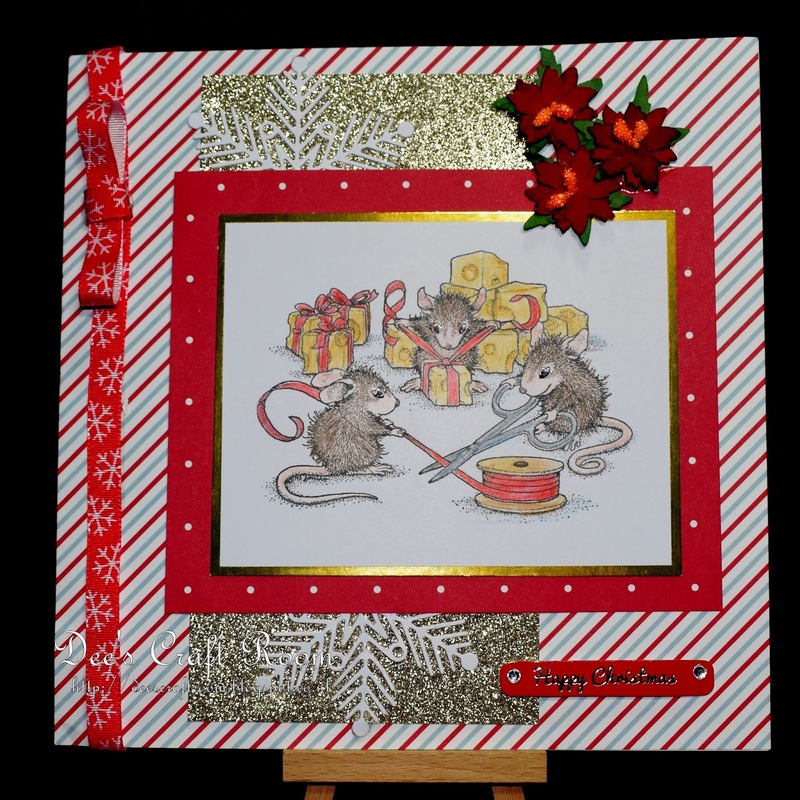 Love the cute House mouse image and beautifully coloured -I so struggle with pencils -was going to say mine look like the grandaughters coloured them but that said theirs look miles better than mine!!! 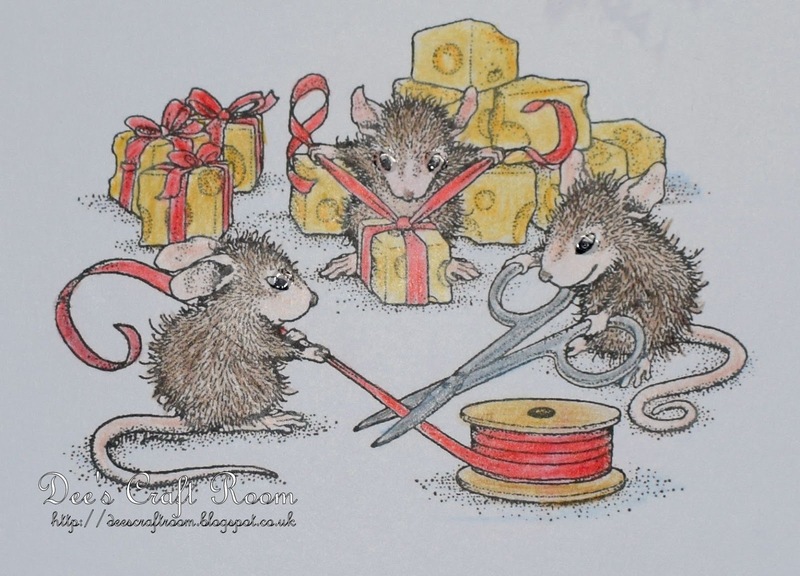 I really love House-Mouse images and am tempted by the pre-coloured images you can get, but I keep trying to get the colouring right. My bigest problem with the pencils is getting a strong colour, I just cannot do it. Other people can do it and I have watched several clips on Youtube but I cannot work out the trick. Let me know if you ever work it out.